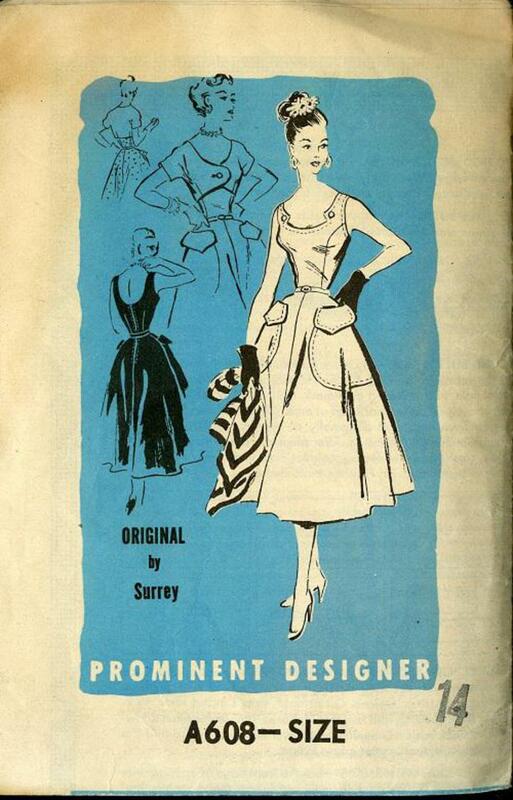 1950's Mail Order Pattern #A608 Prominent Designer Surrey, misses' dress and bolero, size 14. Missing pattern pcs. 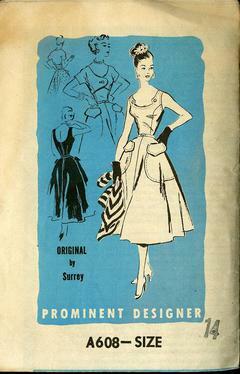 1 and 4 (front and front facing) sold AS-IS.